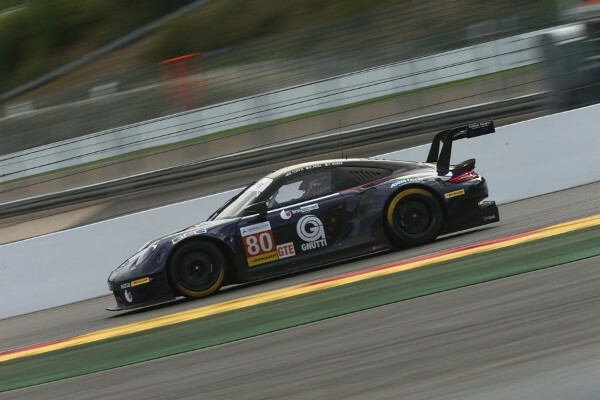 The second to last seasonal round of the European Le Mans Series championship was raced on the mythical Belgian racetrack of SpaFrancorchamps last weekend. In the LMGTE category, Ebimotors drivers, Bret Curtis, Riccardo Pera and Fabio Babini, on their Porsche 911 RSR No. 80 car, had a great challenge to face due to very complicated weather conditions. Qualifying session, performed by R. Pera (Ebimotors), was raced in dry racetrack conditions and this allowed our young driver to place his No. 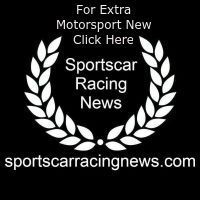 80 car on the third class position with the time of 2’17.183. The twin Porsche RSR cars (Proton Competition) placed before, the No. 88 car, driven by M. Cairoli, who gained the pole position with the time of 2’15.654 and the No. 77 car, driven by D. Olsen (2’16.354), respectively. and benefiting from this, we had a pit stop for both refuelling and driver change. The pit stop was very fast (the best seasonal of ours) and F. Babini (Ebimotors) started his race on our No. 80 car keeping the first class position. back due to the worsening of weather conditions and after two hours and five minutes from the race start, the race was stopped because of unsafe conditions. So, our crew, Curtis-Pera-Babini, won the race and Ebimotors team was on the winner’s podium for the first time in this championship. Thanks to the gained points for this race, even if they were divided in half because the race did not last four hours, we reached a higher position placing on the fourth position in the LMGTE standings. Teams: 1. (88) Proton Competition 80,5 points; 2. (66) JMW Motorsport 69; 3. (55) Spirit of Race 67; 4. (80) Ebimotors 58,5; 5. (77) Proton Competition 58; 6. (83) Krohn Racing 38; 7. (86) Gulf Racing 10; 8. (54) Spirit of Race 8.